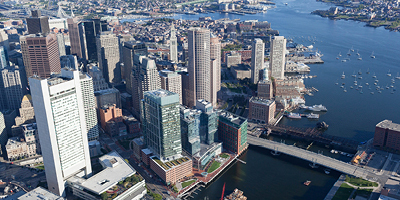 description: MERGE architects' proposal was selected as a winning entry from more than 130 submissions in an ideas competition re-imagining the Northern Avenue Bridge at Fort Point Channel in Boston, Massachusetts. The competition was sponsored by the Boston Society of Architects (BSA/AIA) and the Boston Redevelopment Authority (BRA), with Mayor Martin J. Walsh on hand to kick off the discussion. MERGE's winning entry (an essay) can be read here.